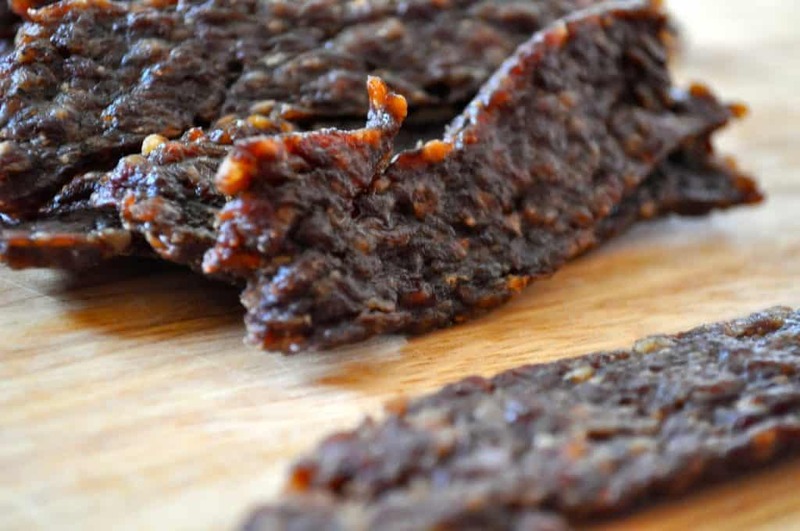 If you’re looking for an Easy Homemade Ground Beef Jerky Recipe that’s Paleo, Clean Eating, MSG free, Gluten Free, budget-friendly AND STILL delicious, look no further, you’ve found it. 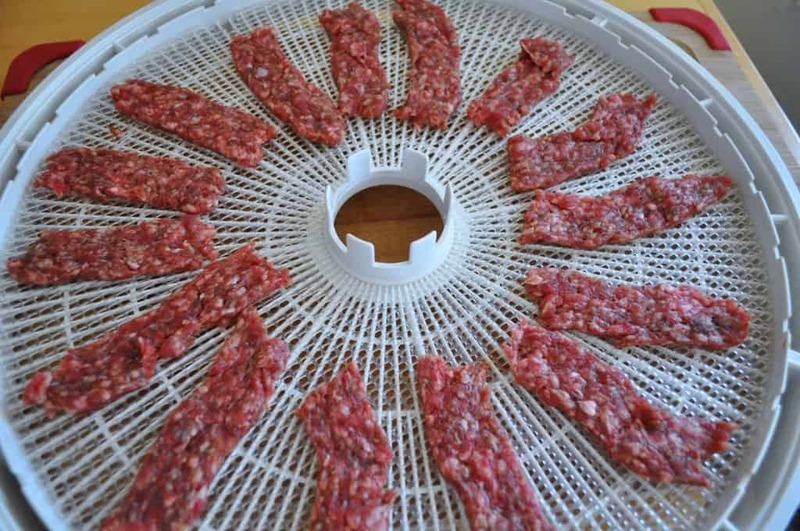 If you just want a tasty ground beef jerky recipe for a dehydrator this is it. You’ll feel good about eating or sharing this beef jerky with family and friends too. 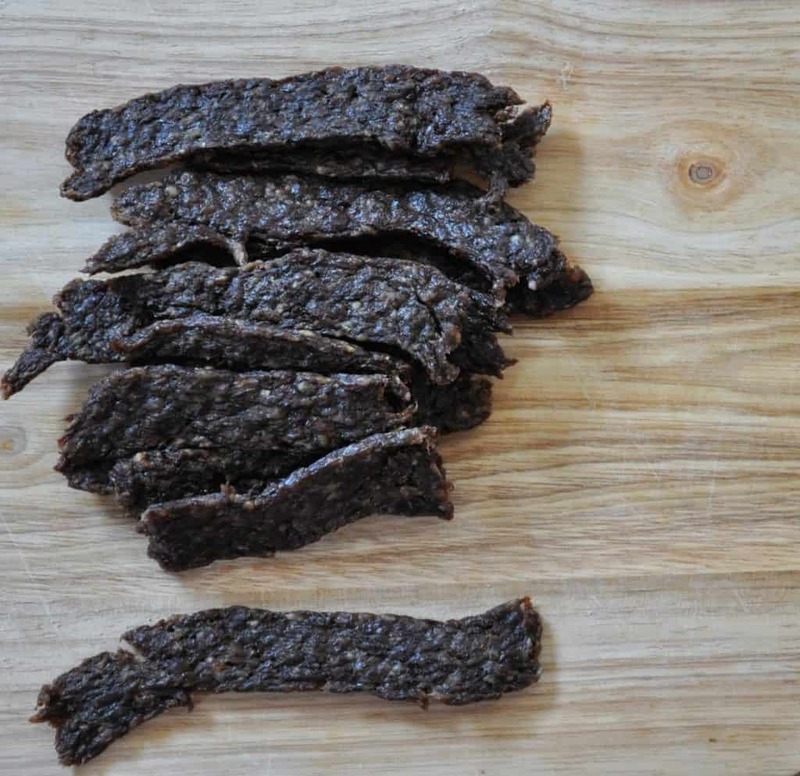 Anything you’re looking for in a ground beef jerky recipe is right here on this page. I’m a huge fan of beef jerky, I love it for the simple fact that it’s just a nice chunk of protein that’s quick and easy to eat but also satisfying. Lately, the stuff from the store is feeling less healthy and more full of junk than I want to eat, so I set out to find or come up with a beef jerky recipe for something I can enjoy again. I didn’t have to look far, I’d found this recipe a while back, pinned it and I started from there. The spices looked solid and I only had to tweak it a bit for our tastes, and I left out that wretched beef broth too. That stuff is full of nasty chemicals, I’m pretty sure she used homemade, although it’s unstated. I happen to have a lot of ground beef because our beef order came last month, it always feels like so much beef but somehow we ration it out to the end of the year. And I bought a dehydrator last fall too, with it came 2 jerky guns. I was like what are these for?? Did some research and never looked back. Both solid reasons for making ground beef jerky but this stuff is so tasty you don’t need a solid reason just a jerky gun and a dehydrator. You can use game meat for this recipe as well. 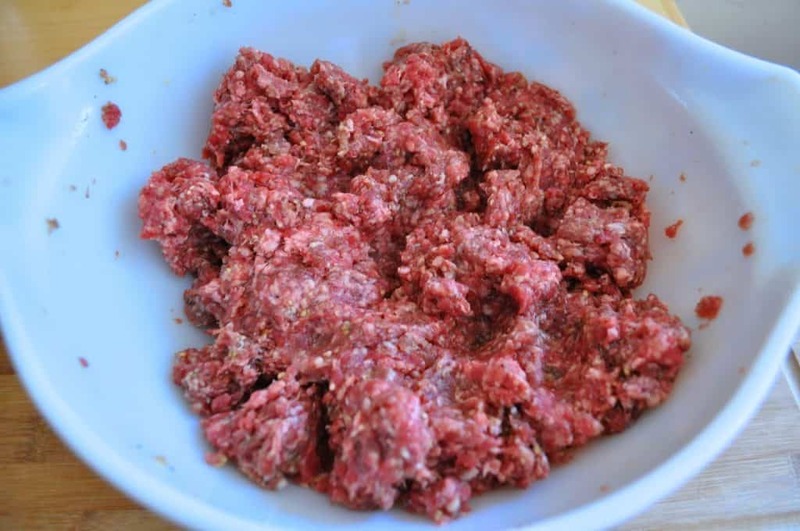 Try Ground Venison or Ground Moose! I bet Elk or even Bison would work too. I know for sure it’s going to be lean enough. I think the only adjustments you’d have to make would be to the spices. That will depend on your meat and how gamey it is. What I recommend is starting with some of the spices in the mix. Then cook up a small amount. How does it taste? Remember it’s going to get stronger the longer it rests in the fridge. If it needs more spice, add more and cook up another small bit. Add spices until it’s almost strong enough, then figure it’s going to get more flavorful after resting. 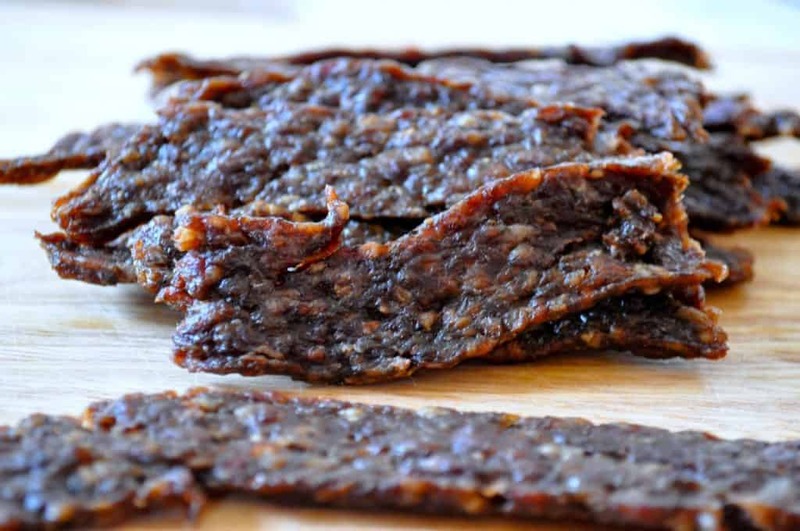 Boom, a Ground Venison Jerky Recipe! Or Moose. Or Elk. Well, you get the picture. Wondering HOW I made the recipe? Here’s my video which walks you through it. And be SURE to watch my video about HOW to load the jerky gun, it’s linked below! 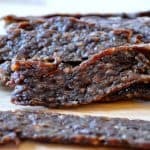 This Easy Homemade Ground Beef Jerky Recipe is Budget-Friendly to make, especially when you have teens and tweens who eat jerky like it's going out of style. 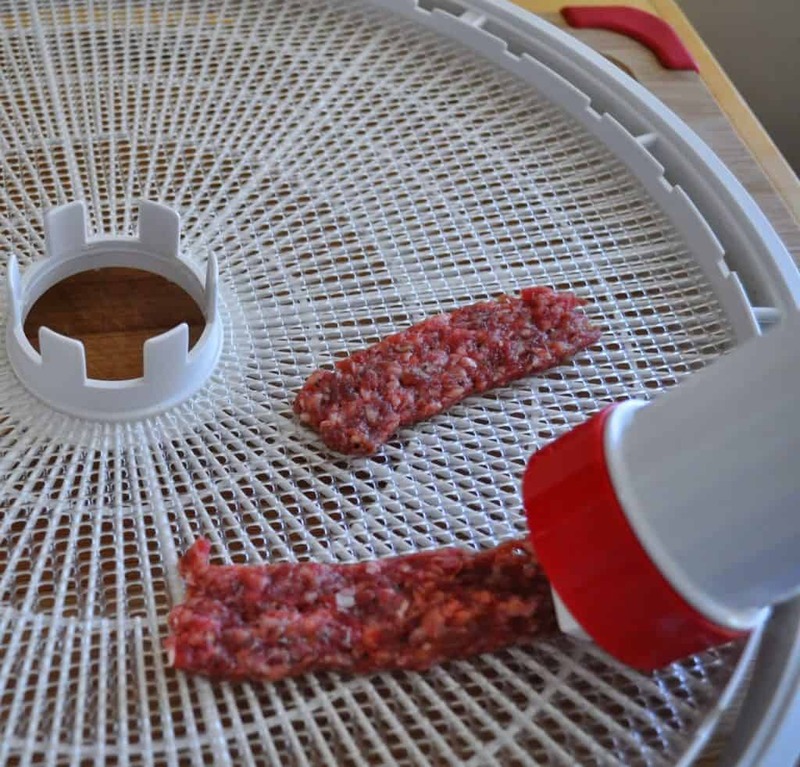 Make a batch and see how easy jerky at home can be! ****Looking for help with HOW to load a Jerky Gun? Watch my quick and easy video to learn exactly how it’s done! 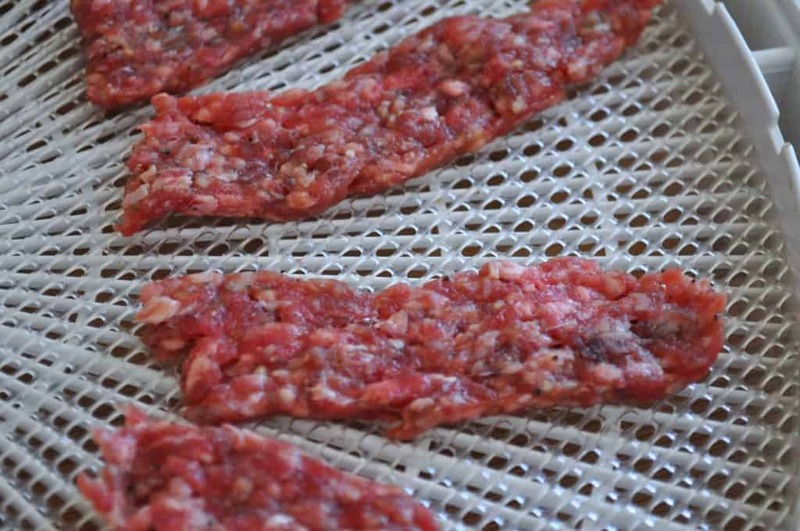 I never knew you could use ground beef to make beef jerky! Wish I had a dehydrator! PINNED! I’m super intrigued by this. A lot of my family hunts, so they make deer jerky. I’m really intrigued that a “jerky gun” exists! Aleah, every time she brings it to food swap my daughter gets some. I have to be sure to get my own bag or I don’t get any…my 8 year old devours it like candy! Just got a beautiful 6×6 bull elk here in Colorado!! Believe me, I love making this stuff and it makes great Christmas gifts!!! Oh wow I bet that jerky tastes AMAZING! Thanks for sharing your results, I appreciate it!